Explore the tabs above to find lots of articles, websites, books and films either about or based on Alice in Wonderland. If you need assistance to find any resources or information please ask any of the Librarians in the Senior Library - we are happy to help! 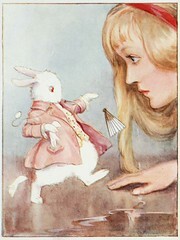 This page includes information on a number of books which are based on the story of Alice in Wonderland. I have also included a book, The Phantom Tollbooth, which is written on a similar theme to Alice in Wonderland and a list of authors who have written on similar themes or in a similar context. Books by many of the following authors are available from the Senior Library. The phantom tollbooth by Juster, N.
The Phantom Tollbooth is written on a similar theme to Alice in Wonderland. Find more information on the links between The phantom tollbooth and Alice in Wonderland. Source of picture: Amazon.com, 2011. Automated Alice: paperback. 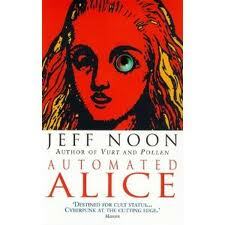 [Online] Available at: http://www.amazon.com/Automated-Alice-Jeff-Noon/dp/0552144789 [Accessed 28 January 2011]. The looking glass wars [sound recording] by Beddor, F.
We also have the audio book version of the above book which is available for loan from the Senior Library. Seeing Redd by Beddor, F.
This is the second book in Frank Beddor's 'The Looking Glass Wars' trilogy. It is available for loan from the Senior Library.